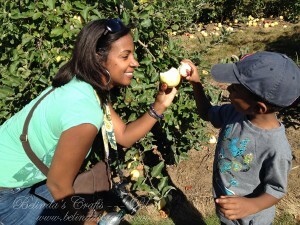 Last year, I somehow managed to miss a good opportunity to take the boys apple picking. So this year, I wasn’t playing around, we had to work it in to our schedule. With Nicholas’ birthday party on Sunday we had to squeeze it in on Saturday after Apollo’s soccer practice. It wasn’t the most ideal time but Apollo took a nap on the drive up to Russell’s Orchard in Ipswich. It wasn’t a crisp fall like feel to the weather but the sun wasn’t too bad either. We picked Gala, Macoun and Ginger Gold apples. This was my first time eating the Ginger Gold and they are delicious. After picking apples the boys stopped by the shop for ice cream and Leao and I some donuts of course! Then we headed over to Crane Beach to catch some fresh air. I will spare you the picture Leao took of my snoozing!